Two doors and two shelves provide convenient storage for this entertainment center. Features carved rosette accents. 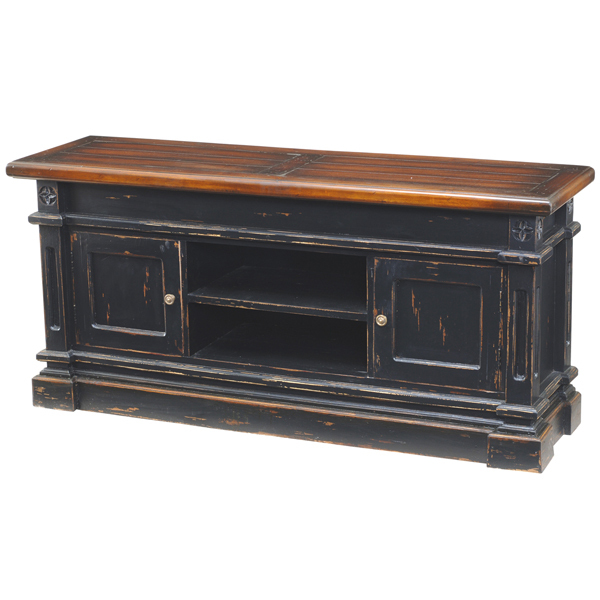 Shown in Black Heavy Distressed painted finish and Aged Honey wood stain on top. Handcrafted from solid premium mahogany.